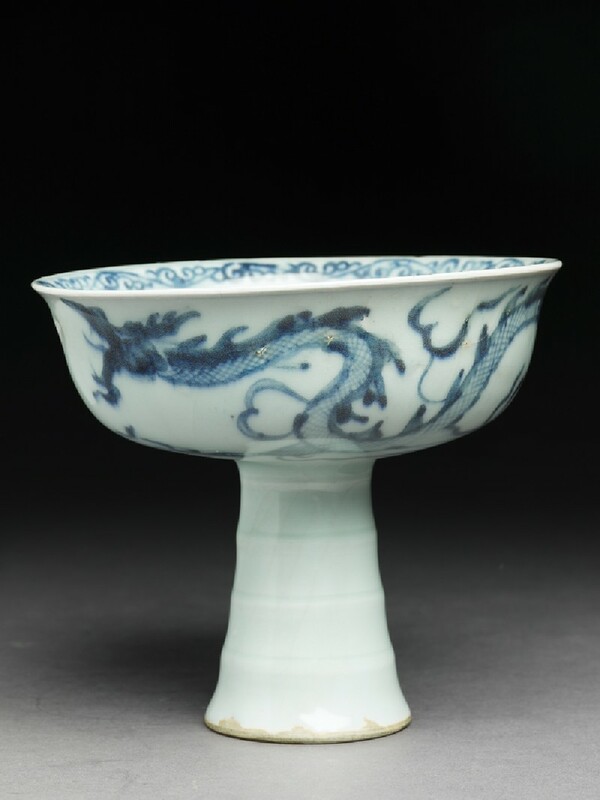 The highest quality white porcelain in southern China was made at Jingdezhen in Jiangxi province. 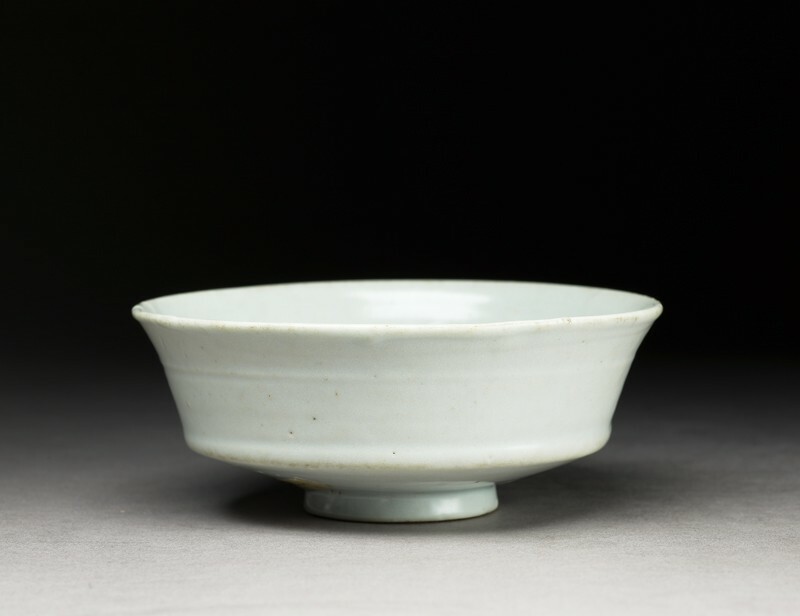 From the late 1300s to around 1915 it was the site of the imperial kilns. 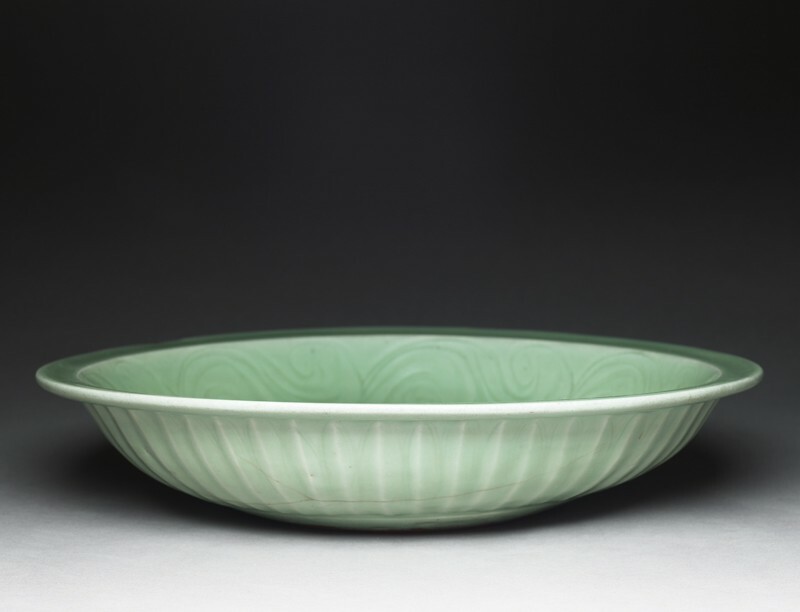 Kilns on the east coast also produced fine wares. 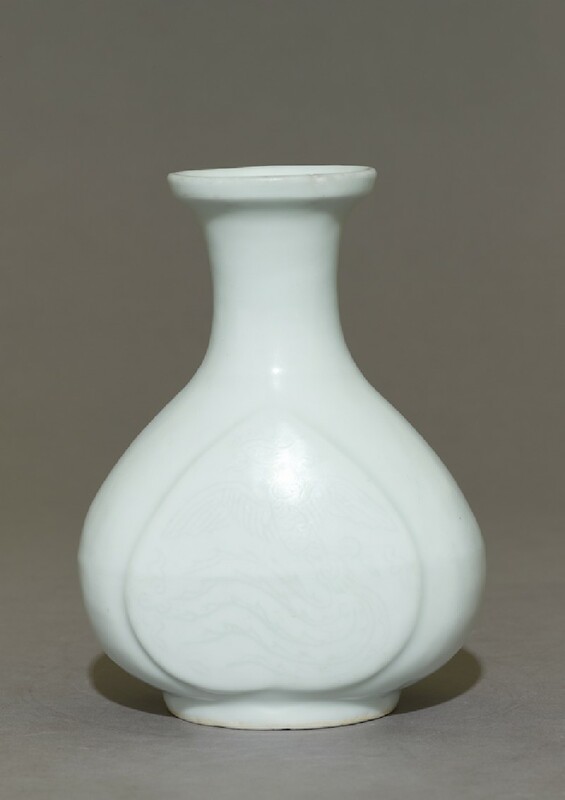 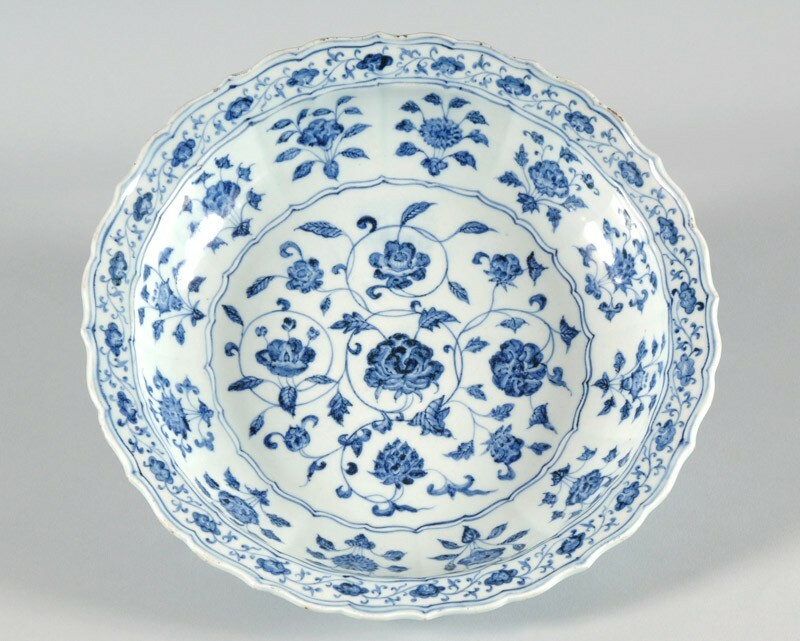 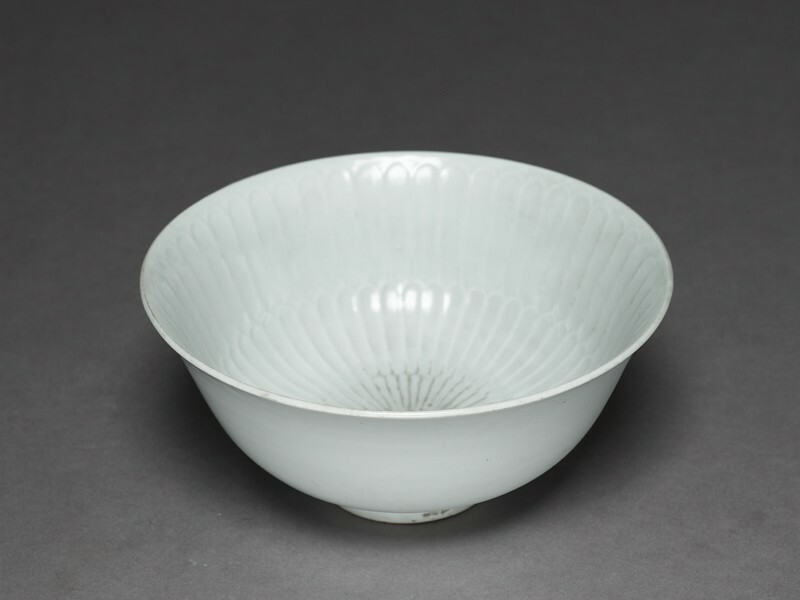 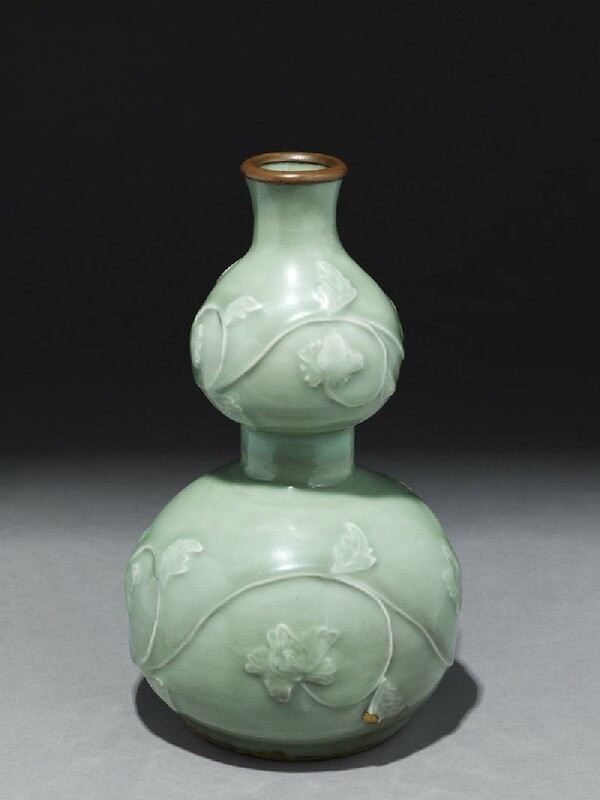 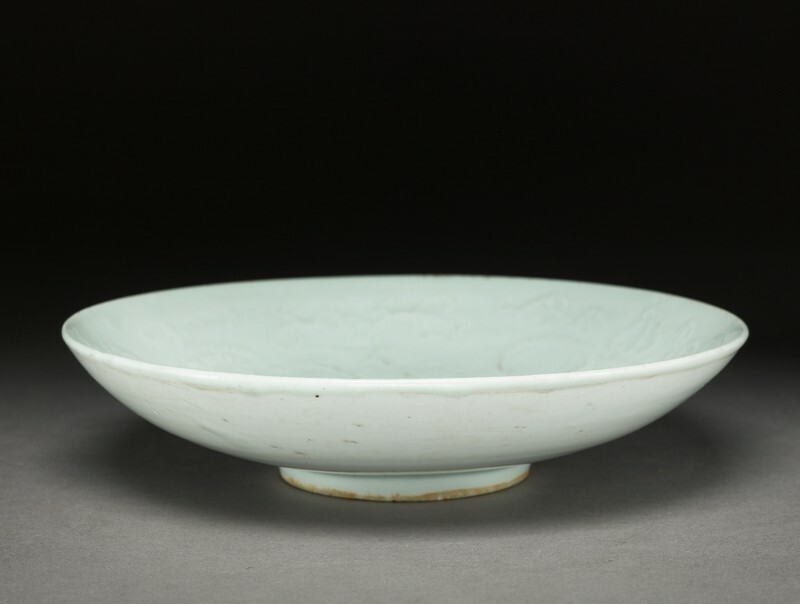 Greenwares from Longquan were exported to Korea, Japan and the Middle East, also the destination for most early blue-and-white porcelain. 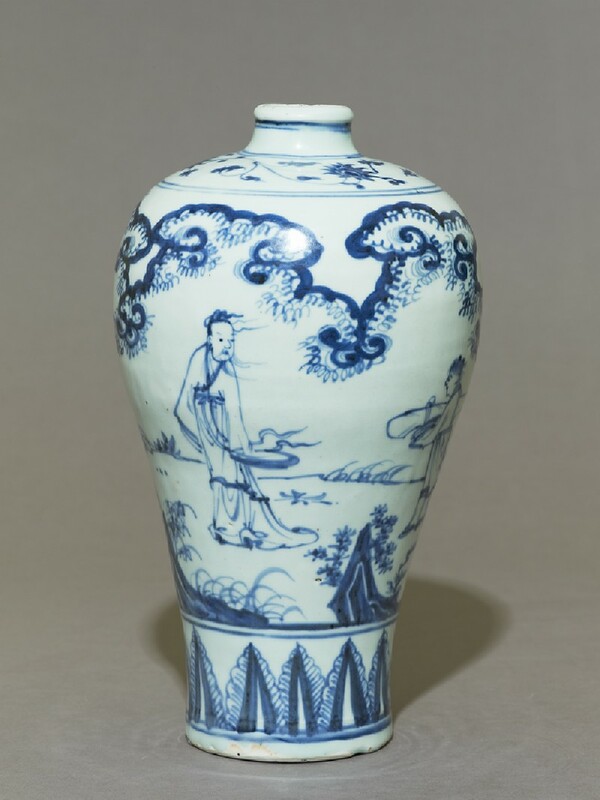 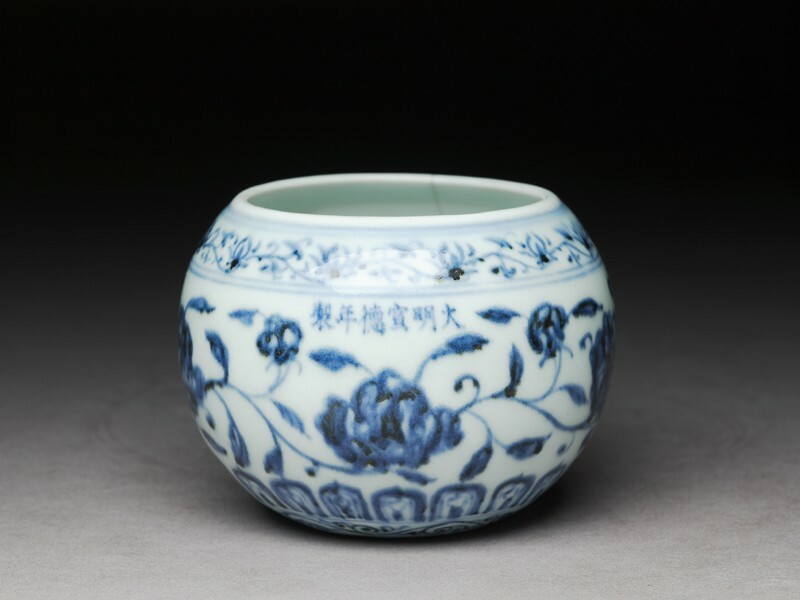 Porcelain with blue decoration painted beneath the glaze only became widespread within China after AD 1400. 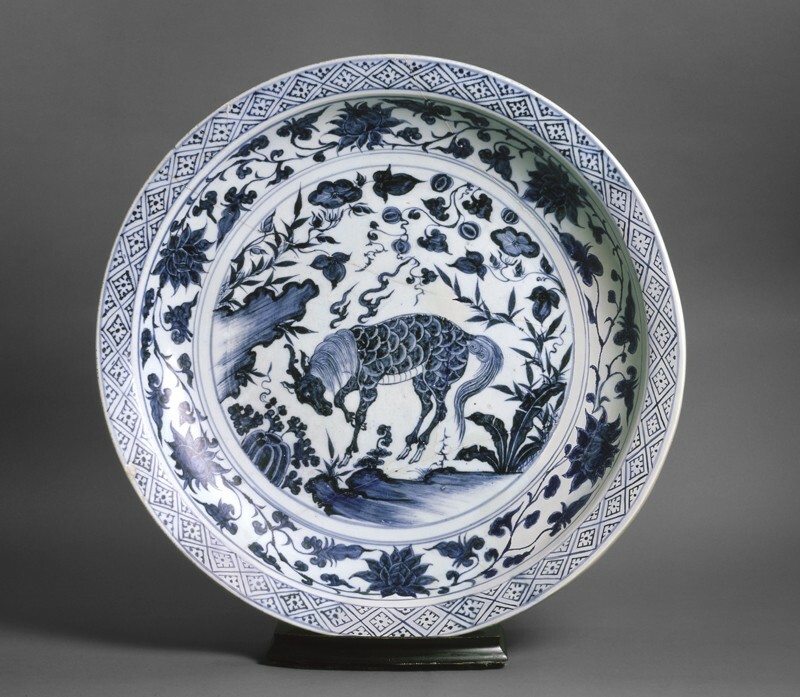 By around 1430 enamels were applied over the glaze, and porcelain became highly decorated with colourful patterns. 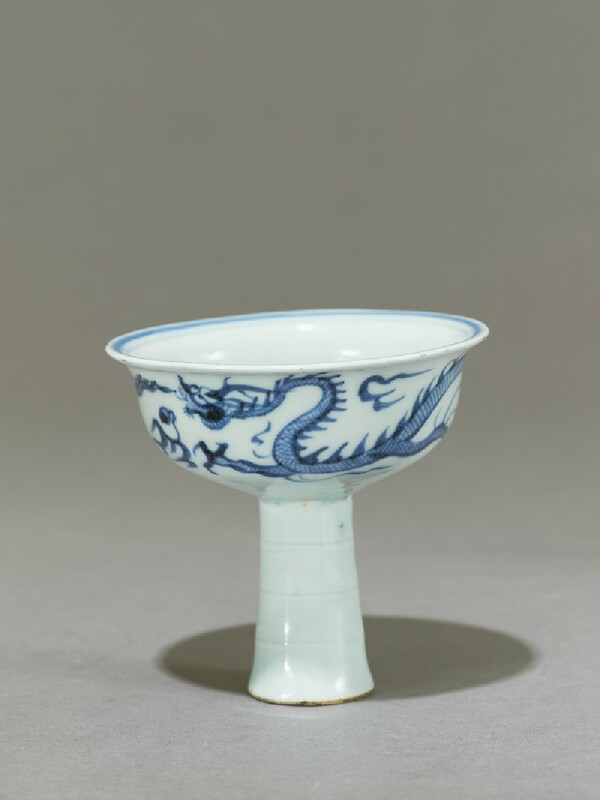 Reign marks state the names of the dynasty and the emperor in power at the time the porcelain was made. 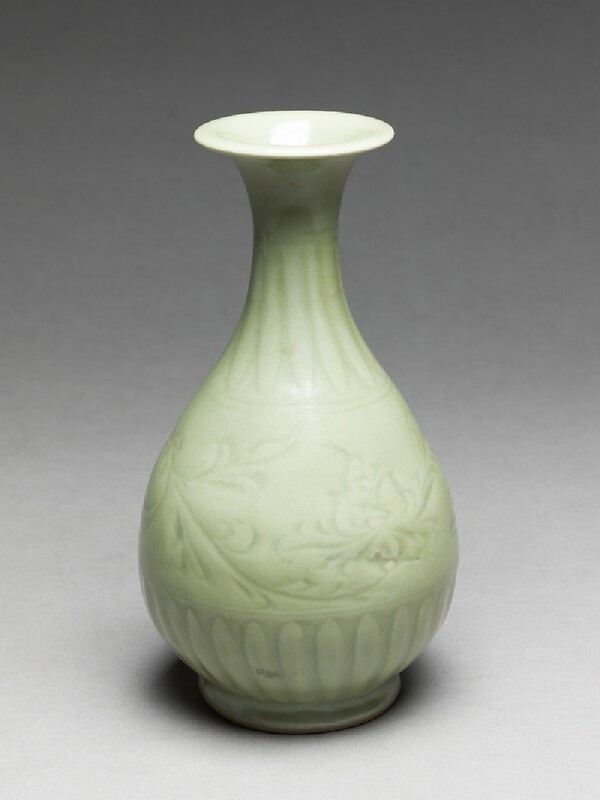 The earliest is that of the Ming emperor Yongle (ruled 1401-1425). 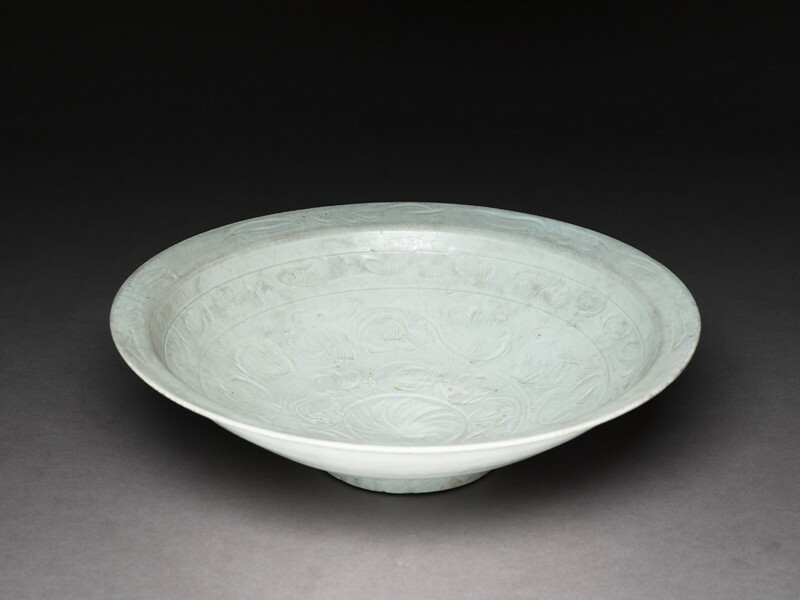 The reigns of Xuande (ruled 1425-1435) and Chenghua (ruled 1465-1487) are regarded as the finest periods for Ming porcelain, and their marks often appear on later wares. 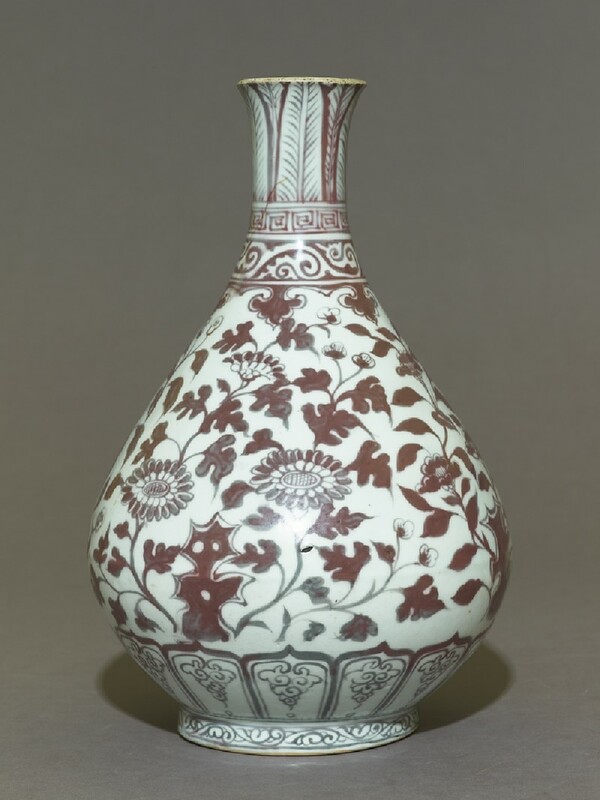 From the manuscript of a narrative poem by Khvaju Kermani, date 1396. 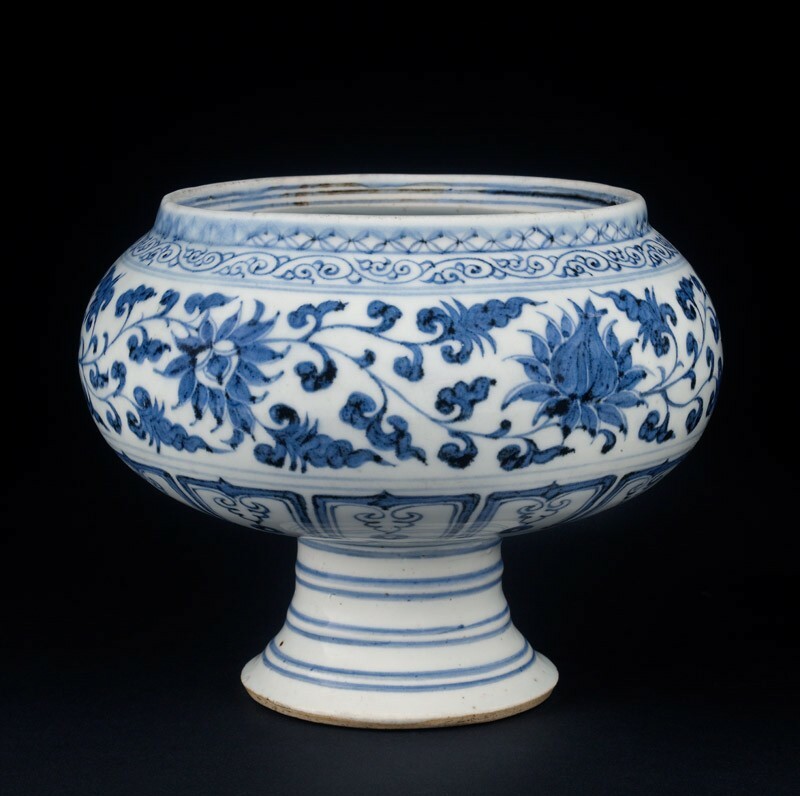 The vase in the centre of this Persian manuscript painting is the earliest depiction of Chinese blue-and-white porcelain. 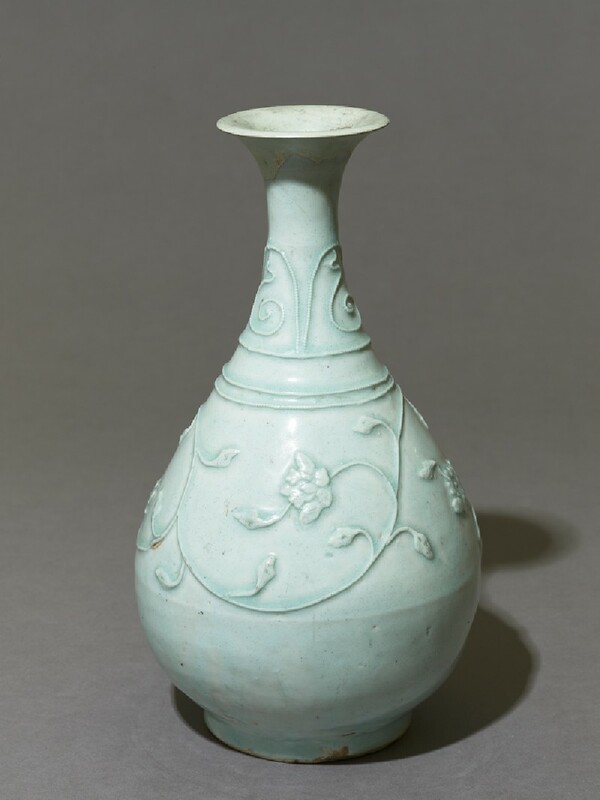 The poem tells of Prince Humay’s quest to China to find the princess, Humayun, with whom he has fallen in love. 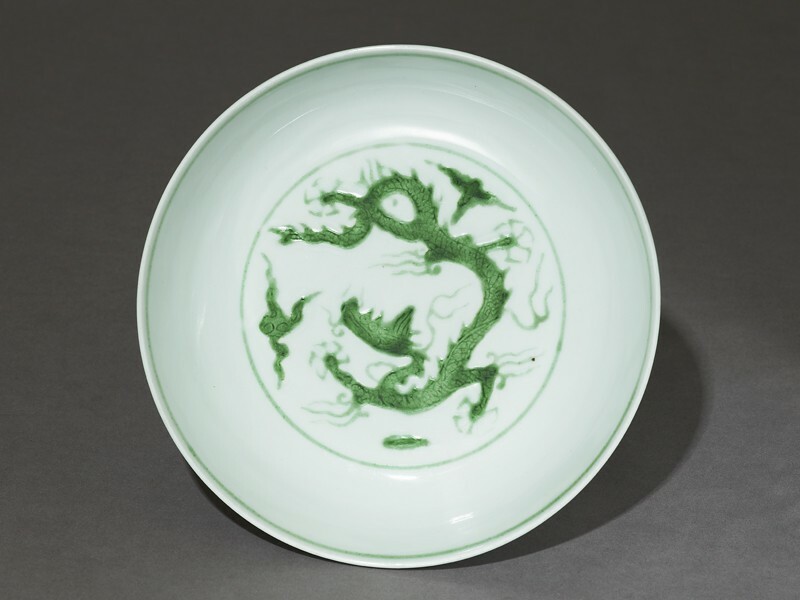 In 1976 two fishermen discovered a shipwreck dating from the 1320s off the Korean coast. 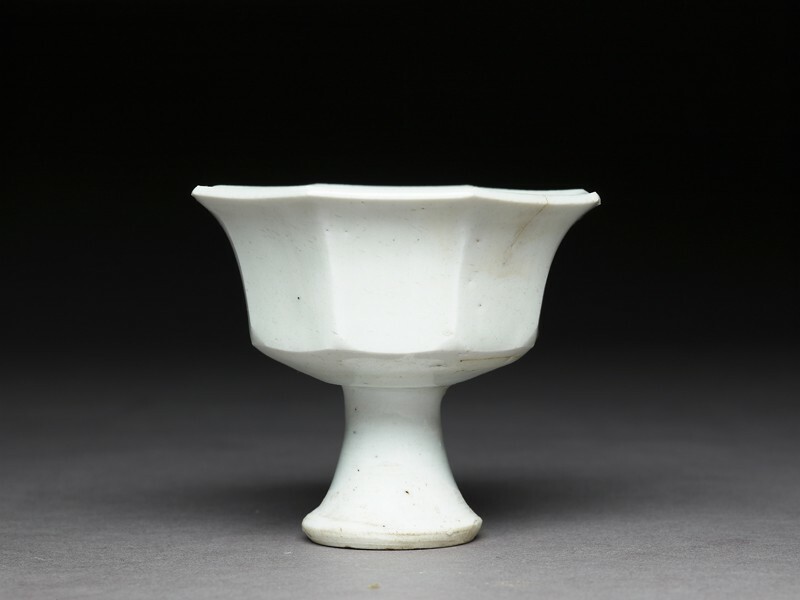 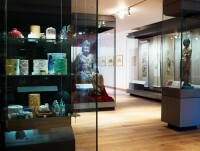 It contained a cargo of more than 2000 Song and Yuan dynasty ceramics, bronzes and other goods. 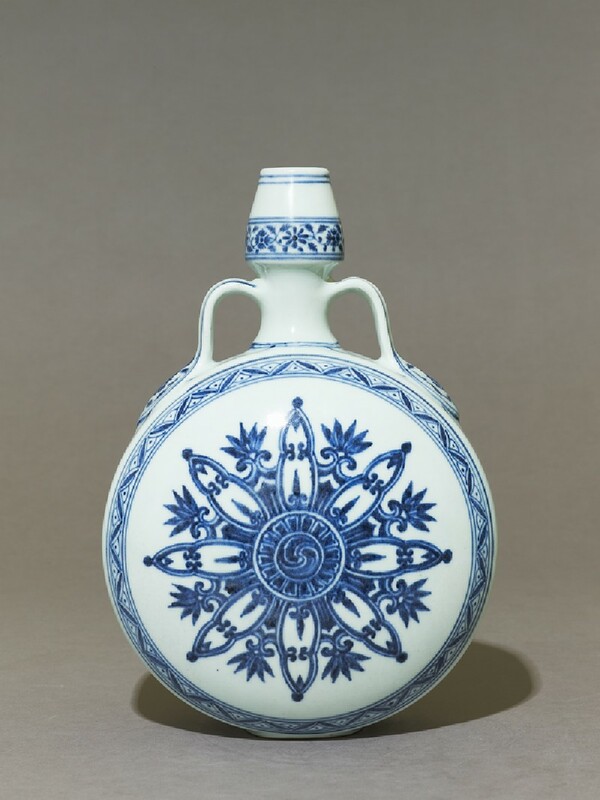 An identical piece to this one was found on board. 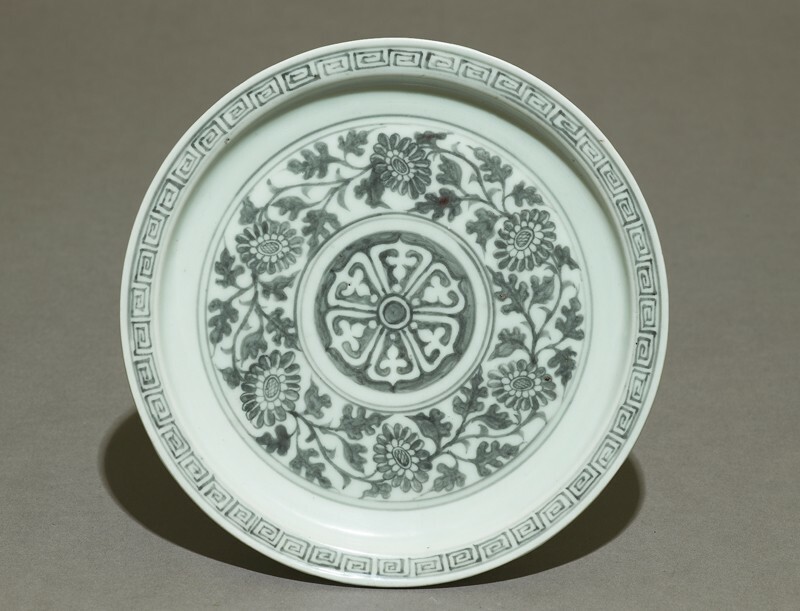 An early 20th-century label on the base of this dish says it also was found in Korea.